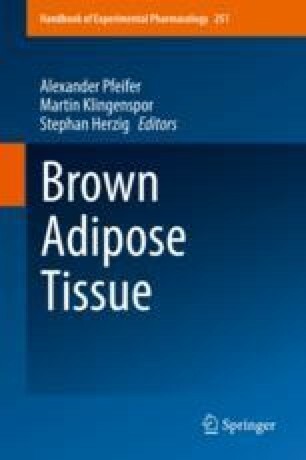 Brown adipose tissue (BAT), the specialized heat-producing organ found in many placental mammals including humans, may be accessible for clinical drug intervention to help combat metabolic diseases. Understanding the biology of BAT and its thermogenic uncoupling protein 1 (UCP1) will benefit from an assessment of its evolution, answering where UCP1 originated and how it has been modified and integrated into cellular energy metabolism. Here, we review topical insights regarding the molecular evolution of UCP1—also reconstructing the proximate and ultimate factors selecting for brown fat thermogenesis in placental mammals. This new thinking on “old” events will assist our understanding of how thermogenic mitochondrial uncoupling was integrated into the physiology of the brown adipocyte. Recent comparative studies examining the occurrence of UCP1 in vertebrates not only identified the ancient (pre-mammal) rise of UCP1 but also its repeated downfall during mammalian evolution as evidenced by multiple independent gene loss and/or inactivation events. Together with the comparative physiology of various species, we may be able to find conditions that favor UCP1 thermogenesis and, learning from these insights, identify molecular networks that will be useful to pharmacologically stimulate the tissue.